There is no question that Geisler is correct about our freedom. As I wrote several weeks ago, our liberty is being compromised beginning with our religious freedom — the freedom on which all other freedoms depend. And there’s no question that Geisler is correct that our freedoms are founded on a Judeo-Christian worldview. History makes it clear that once you take that worldview away, freedoms beginning with religious freedom evaporate. Every regime that rejects a Judeo-Christian worldview beginning with the French Revolution shows us that secularism is the great enemy of freedom. And the secular worldview is ascendant in our country. The question then is: How do we “speak to the culture” in such a way that we reestablish freedom by reestablishing a Judeo-Christian worldview? Part of the answer is evangelism and that’s where the trouble begins. Evangelism has always been a challenge, but today it faces three enormous speed bumps. They’re in the culture, in the Church, and in our individual psyches. Speed Bump 1: Relativism. While not everyone believes “your truth is your truth and my truth is my truth and that’s the way the world is” (not a particularly relativistic position when you think about it), we all have problems with absolutes. A friend who teaches high school English tells me that until about ten years ago if the concept of evil came up, he could always say, “Hitler and the Nazis were evil,” and his students would readily agree. But that’s no longer the case. Hitler, they tell him, was probably just doing the best he could. Yes, he made some mistakes, but who are we to judge him or his culture? Two questions come to mind. First, how do we evangelize people who are so marinated in relativism that one of the foulest genocidal leaders in history gets a free pass? Second, how much have we been impacted by the steady drumbeat telling us that being unaffirming and judgmental are the two great unforgivable sins? Evangelism and worldview change demand that we believe and say that there is absolute truth. Some things are just plain wrong; some things are just plain evil. Speed Bump 2: Universalism. Walking hand-in-hand with relativism is the sense that everyone goes to Heaven. Okay, if you're old school, Hitler and his ilk go to Hell, but certainly not the good people: the people who work hard, help others, and try to do the right thing even as they reject Jesus and the Christian faith. By contrast, a pastor friend used to pray for those “who are without God in this world and without hope in the next.” While I affirm that on paper, I confess that I too have lost the visceral sense that it’s true. Even writing it makes me squirm. But if there is no threat of Hell, why bother people with Jesus? If everyone goes to Heaven, there’s no reason to disturb their relativistic, all-affirming, non-judgmental Sunday mornings. Evangelism becomes pointless. Speed Bump 3: No one talks about religion. In his research into the spiritual and moral lives of twenty-somethings, Notre Dame sociologist Christian Smith found that most people aren’t anti-religion; they’re indifferent. They don't object to talking about faith; they just never do it. And it’s easy enough to guess why. Religion only introduces potential controversy into otherwise pleasant and placid relationships. Why rock the boat with likely disagreements that might leave somebody feeling unaffirmed or judged? Yet evangelism and worldview change require communication. We need to engage others with the truth of Christianity. How do we negotiate the speed bumps? 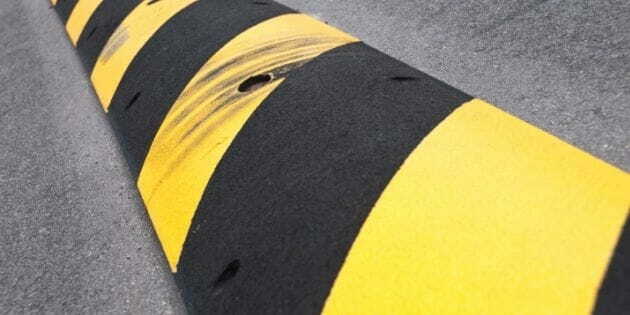 The way we negotiate speed bumps when we’re driving: slowly and deliberately. We understand what we believe and engage our neighbors with sensitivity motivated by genuine love. I’m convinced that this begins as we re-experience the Gospel ourselves and learn once again that Jesus, who is too good to be true, is not only true, but The Truth. The worldview of the West took decades to get to the freedom-threatening state it’s in today. Establishing a new worldview will also take decades — assuming that it’s possible at all. In the near term, progress forward depends on God’s people rejecting relativism and universalism as we present Christ lovingly to our friends, family and neighbors. James Tonkowich is a writer and scholar at The Institute on Religion & Democracy where his focus is the intersection between faith and the public square, where worldview makes all the difference in the world. Jim worked with Chuck Colson, managing his daily BreakPoint radio commentary, founding a magazine, writing, speaking, and developing curriculum including the Centurions Program. He is a regular contributor to ReligionToday.com and also works with The Cornwall Alliance for the Stewardship of Creation, Oxford House Research, and other policy institutes. Learn more about Jim at JimTonkowich.com.